*Disclaimer: I was not compensated for mentioning 24/7 Frenzy to my readers. All opinions are my own. The Puzzled Palate is not responsible for the delivery of the prizes. Contest is void where prohibited. 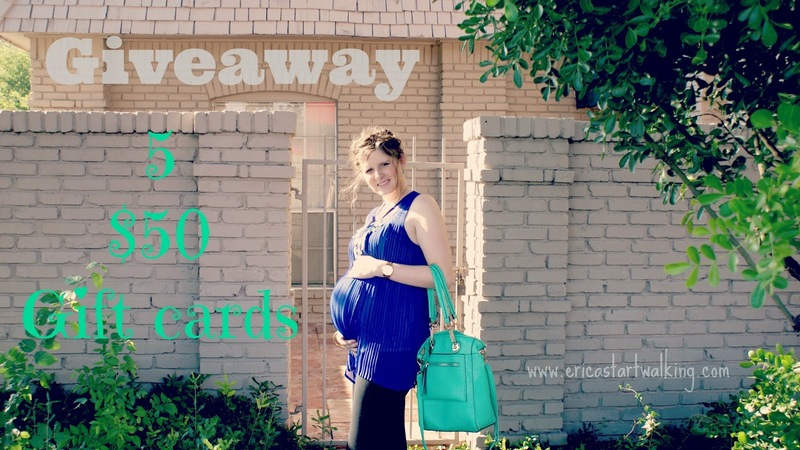 I know that I am not even close to being a fashion blogger... but I do love a good giveaway! Today, The Puzzled Palate is honored to be partnering with Erica Start Walking, a wonderful blog packed with everything from fashion to crafts to recipes. 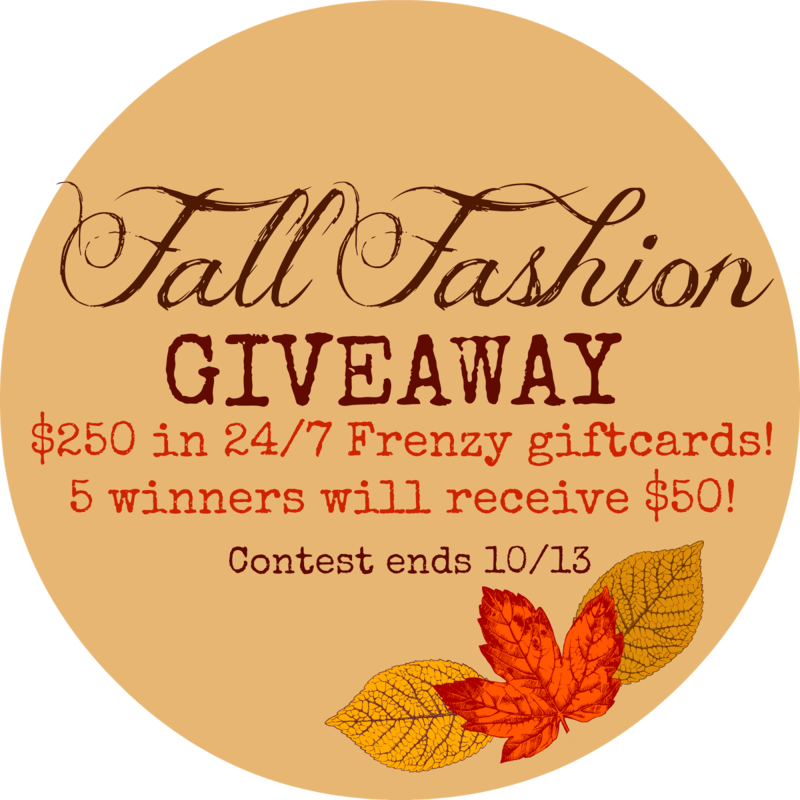 FIVE lucky winners will receive a $50 e-gift card to 24/7 Frenzy, an online clothing store. The winners will be contacted once the giveaway is over via email. For a sneak peak at the type of fashions they have, take a glimpse at the picture below and then pop over to their website! She is the most adorable pregnant woman I have seen- but keep in mind, 24/7 Frenzy offers clothing for everyone! Without further ado...let's get this party started! What is your must-have for this autumn? How can I get to the other entries when the Instagram profile no longer exists? It says page not found. Refresh the page and try again. Sorry about the glitch! I refreshed the page a few times and went to google and clicked on the instagram from there and it saying page not found. Can you check to see if she still has Instagram? If she does, I will try to get on it from my daughter's phone when she comes home from school. Ok- the link IS broken and I can't get in touch with her. Just give yourself the point and where it asks for you Instagram name- please enter "Your link is broken. My Instagram name is:________." I am sorry- this is rather embarrassing. Thank you very much. It is OK. Things like this happen with contests. It has happened before on Pinterest too Lol. I appreciate you getting back with me so quickly. Have a nice day!